Apple Pie Enchiladas with a sweet cinnamon homemade apple pie filling rolled up inside flour tortillas are baked in a warm vanilla sauce. Do you ever crave apple pie? 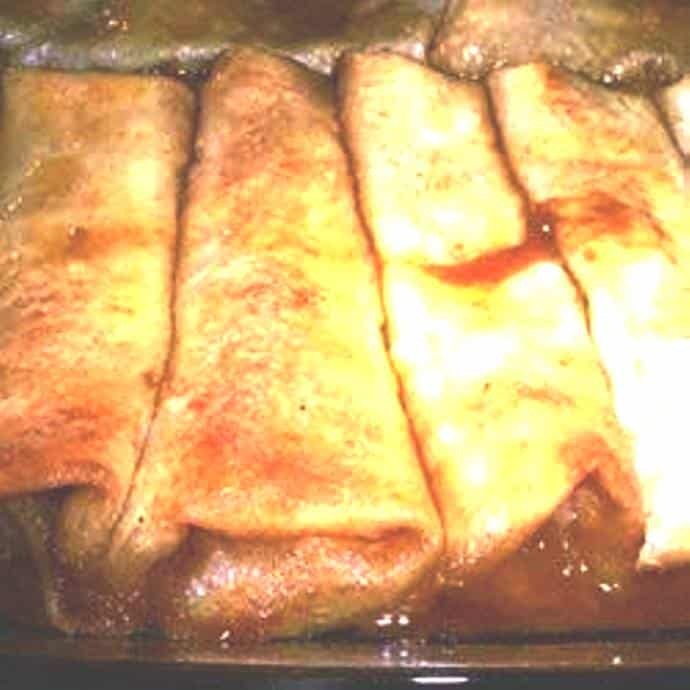 These Apple Pie Enchiladas are so quick and easy and make a wonderful dessert. My homemade Apple Pie Enchiladas recipe comes together quickly for a last minute dessert. My Cast Iron Blue Ribbon Homemade Apple Pie is incredible, but takes some time, so these Apple Pie Enchiladas are the perfect compromise. Dice up some apples and mix with, cinnamon, sugar and vanilla. Grab flour tortillas and fill with the homemade filling. Prepare a sweet cinnamon vanilla sauce and pour over the top. Then bake to perfection in the oven. 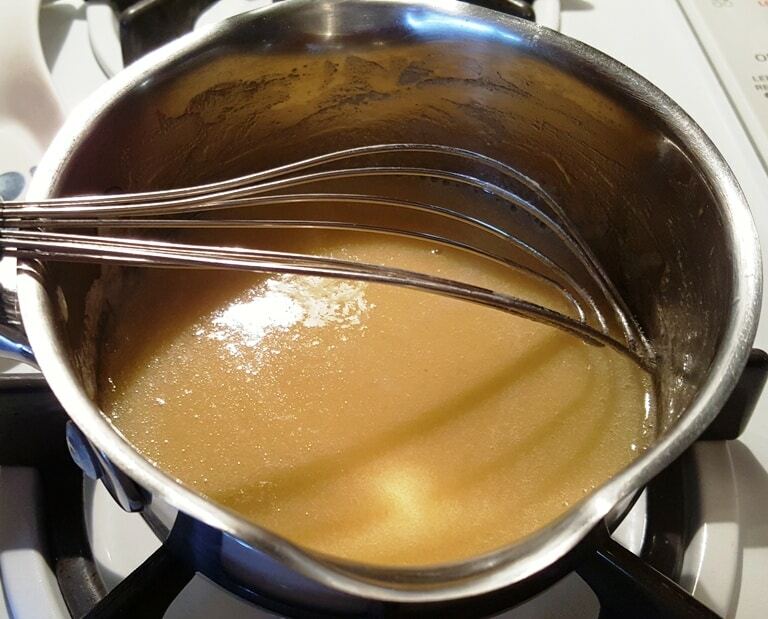 White sugar and brown sugar simmer quickly to make a caramel sauce. More Delicious Desserts To Try. In a saucepan over medium heat, combine butter, white sugar, brown sugar and water and bring to a boil, stirring constantly. Reduce heat and simmer 3 minutes. Spoon a quarter cup of filling evenly down the center of each tortilla and sprinkle with cinnamon. Roll up tortillas, tucking in edges and place seam side down in 8x8 baking dish. Pour sauce over enchiladas and let stand 30 minutes. For a creamy filling - mix together 4 oz of cream cheese with ¼ cup powdered sugar and place on top of filling. Other fruit can be used. Fresh peaches with a touch of ginger is great, in place of apples. Any canned pie filling will work. PIN this Apple Pie Enchiladas! Apple Pie Enchiladas is my go-to recipe for an easy, quick and great tasting dessert. I always get requests for the recipe! Delicious! I’ve also substituted peach filling for the apple, smearing the softened cream cheese on the tortilla before adding the filling, and baking as shown. What is the size of a can of Apple Pie Filling… for the billions of us who do not live in tbe USA? 1 can of apple pie filling. What size (weight or volume)????? 1 can of apple pie filling. What size (by volume or weight) ?? ?